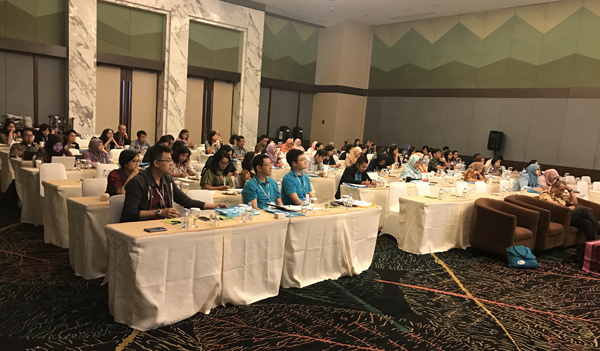 On May 8th, Angel YE Division attended the Indonesia Food Forum hold in Djakarta, Indonesia, during which Guo Hui, from Angel research laboratory of YE Division, gave a report about the application of YE in food innovation, giving people a further understanding about YE and its function. On May 8th, the Indonesia Food Forum, hosted by Indonesia food professional journal--Food Review, was hold at Djakarta International Convention Center. Angel YE division attended this forum with the latest technology. 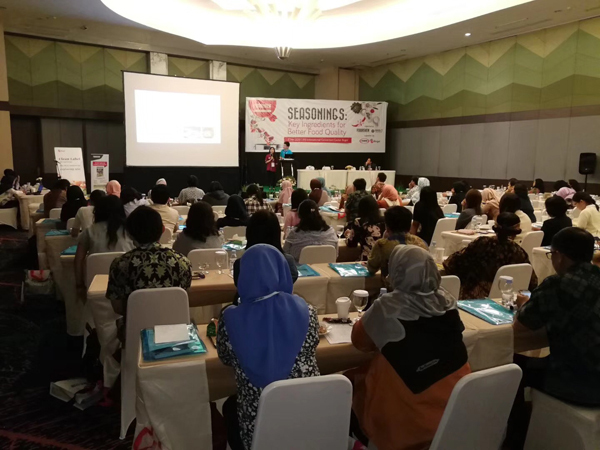 This food forum, with the theme of “Seasoning: Key Ingredients for Better Food Quality”, attracted over 50 multinational companies and some local representative companies, such as Indofood, Nestle and Givaudan. 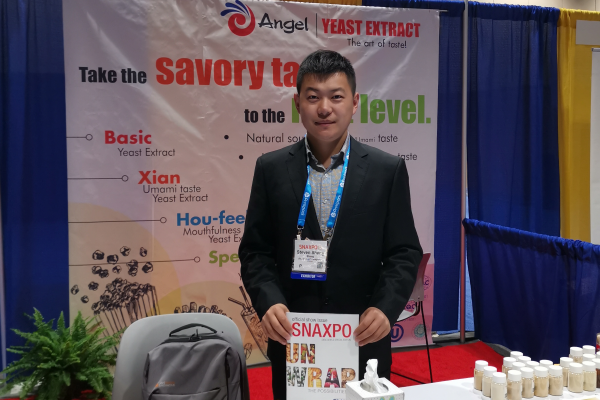 GuoHui, from Angel research laboratory of YE Division, gave a report about the application of YE in food innovation, introduced the application characteristic of YE in Clean Label and salt reducing and replied questioners with detailed answers about yeast extract. 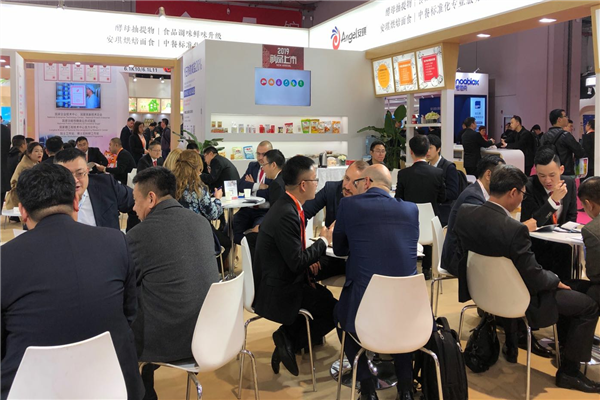 After the report, many on-site customers came to Angel’s booth to taste the instant noodles and chips made with YE to have a real experience about YE’s outstanding effect on improving food taste. 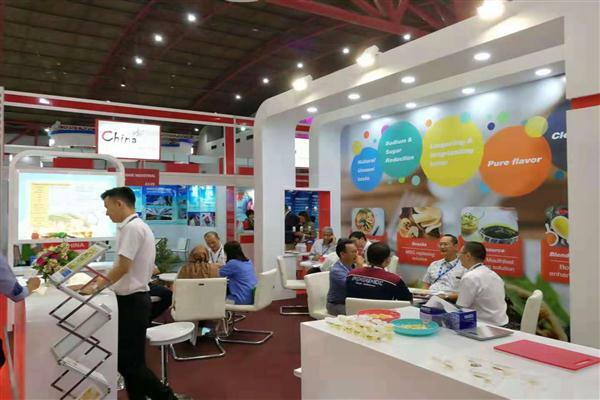 Through this forum, Angle further improved its brand influence in food industry of Indonesia.